Laurentian’s reputation on a global scale is attracting interest far and wide. Laurentian University is a true microcosm of the country’s spirit: open, welcoming, multicultural, strong, northern and proud. The University welcomes more than 9,000 students annually on a 750-acre campus in a pristine natural environment. International students represent 6.5% of the student population and originate from 62 different countries. You will find that Laurentian provides a caring and supportive environment, with an experienced team who understand the needs of international students. Small class sizes comprised of an average ratio of 18 students per professor ensure you're treated as an individual and supported through your education. We hold one of the highest post-graduation employment rate in the province with 92% of graduating students getting meaningful work within six months of completion. Our graduates also enjoy the second highest income amidst all university graduates in the province. We offer the most generous scholarship program in Canada! High achieving international students may be eligible for our scholarships, which recognizes academic achievement and are awarded based on admission average. Up to $60,000 can be earned through this program. Learn more about our scholarship program and check your eligibility. Where is Laurentian University located? The happiest city in Canada! As the Northern Ontario hub for health, education, government, mining and retail, the City of Greater Sudbury offers the unique advantages of a metropolitan area while remaining a truly tight-knit community. Combined with its enviable natural setting of freshwater lakes and boreal forests, it offers outstanding quality of life. Students who choose to study at Laurentian choose a true Canadian experience. Find your home away from home in the heart of a beautiful city and magnificent campus. With four seasons on full display at a campus surrounded by five lakes, a golf course, a beach, and trails. There is no better place on Earth to study. From undergraduate baccalaureate programs to PhDs and research, Laurentian University offers more than 175 interdisciplinary programs, in English and French. When I was fifteen, I left my home in Cameroon. 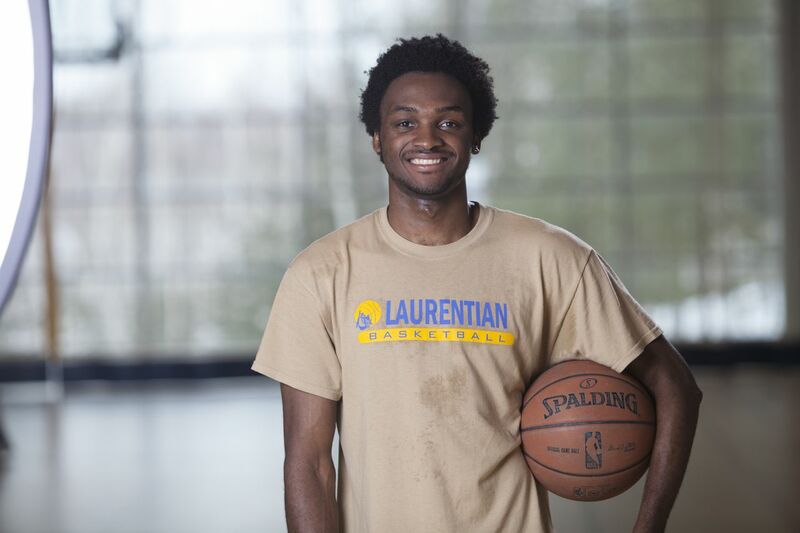 Laurentian University offers an outstanding university experience to its international students: exceptional student services, engaged and dedicated faculty, innovative programs, small class sizes, flexible start dates and responsive entry levels based on previous academic accomplishments.